Under federal law, and in most states, it is against the law to operate a boat or water ski with a blood alcohol concentration (BAC) of 0.08 percent or more. There are also dangers for passengers under the influence of alcohol or drugs. They can easily fall overboard, swim near the propeller, lean over the side, or stand up in small boats, causing it to capsize. Boat Under the Influence vs. Operating Under the Influence: Coming soon. 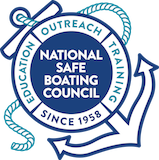 Consequences: Discuss the consequences of boating under the influence. Vehicle Operation: Note that when someone is arrested for boating under the influence, they are not be able to operate their vehicle towing a trailered vessel on the road way.